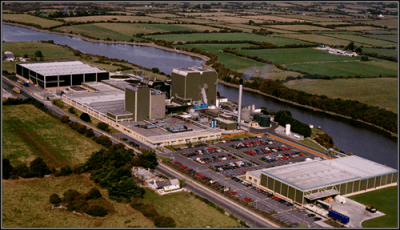 Dryer Plant Expansion – Duggan Brothers Ltd. The project mainly included a new 6 – storey dryer facility, new High-Bay warehouse to accommodate a fully automated material handling system, new dispatch facility, extension to R.T.F. (Ready to Feed) facilities, new bulk handling area (P.D.S. ), new tote building, civil works to the new waste water treatment works including demolition, removal & de-contamination of existing waste water treatment works, and extensive siteworks including roads hardstanding . The works were carried out while the plant was in full operation and as the finished product (baby food) is extremely sensitive extreme care had to be taken while operating in the plant & particularly while interfacing – tieing into existing production areas. The services co-ordination was a major part of the successful completion of the project as mechanical plant was being installed as the various buildings were being constructed. The project was completed on programme with the minimum disruption to the client.